Every Amazon seller wants to find the most profitable niche to start selling products. Products with high demand and limited competition allow you to make money fast. But the question is how to analyze a niche to find out whether or not it’s profitable. You can do it either manually – that will definitely require huge time investment or the other way around is to use an automated research tool to get this job done efficiently and swiftly. Our Amazon niche finder is one of our smart tools that will help you to begin your journey of Amazon research successfully. But first start with your own imagination! Whether you’re going to create your Amazon niche site or start selling in a new niche the important point here is to have some interest and passion in it. If you can find a niche of your interest the next step is to check the profitability and competition. When using your own imagination to find a niche, begin with think about the things you touch, see, use and have fun with. Look around within your house, workplace, public places and pretty much anywhere you go regularly. Observe everyday people in your life what they do, wear or enjoy doing things? What are their interests and hobbies? People spent a lot on their hobbies and things they do for fun and interest. Cash flow in these categories is high because it gives them joy, satisfaction and happiness. Now look at the other side of the picture. Find the problems people face in daily life, their pain points and what are the solutions of their routine life. Once you have shortlisted some items using your own ideas and imagination skills then you need to see which of the items people prefer to buy online and which items from the local store. For example, many people love to go to a store to buy clothing so they can check if it fits well on them. But if you need a specific model of night vision binocular, you would probably browsing online, especially on the Amazon to find some deals. This way you can further narrow down your products and take the Amazon niche research to the next level. If you have made it this far, I believe you already know that you can find some of the best Amazon niches! Since there’s huge amount of data and its hard to dig through all the categories and sub categories. So, let me tell you few tricks to speed things up a little bit. Essentially pretty much any product can be a good niche but the problem is there are so many of them. It makes it hard for the new sellers that they don’t know where to start. Soon they give up their niche research due to tons of information on hand. Best Sellers – This is the best place to start niche research. You can easily find the top selling products of any main or sub level category. Any product here is selling good that means there’s a demand for it. Since customers are looking to buy the product, which means you can also consider selling it. Here’s the UK version of Best Sellers. Movers & Shakers – This hourly updating section of Amazon is good to find what products are sold most within last 24 hours. Hot New Releases – On this page you will find the products that are recently released and have instantly hit the sales. Gift Finder – If you are into gift niche then this page will help you shortlist gift items for men, women and children. You may also find some cheap products on your way so go an extra mile to find good items in your niche. Most Gifted – As the name suggests, items on this page are most popularly bought as gift. A good page to keep watch in holiday season. Most Wished For – Items that are most often added by the customers to their wishlists are listed on this page. Site Directory – Earth’s biggest selection of items nicely organized in the categories for quick finding of products. Everything is on Amazon, every niche you are looking to find on other sites is already on Amazon. You just have to find it. It takes time but it’s there. Hope these few links above will help you a bit. After months of research, data analysis, multiple algorithms and code logics, we at AMZ Insight have built Amazon niche finder software. It will let you know how much sales can be generated in a niche. And how difficult it will be for you to achieve a top rank in your desired niche. Basically, you enter the keyword in to the tool to start analyzing. It will pull the data against the keyword that you entered. You will get two most important stats along other useful data, sales volume and the number of Amazon reviews of top products in that particular niche. Take a look at the image below. The data that you get in the Amazon niche research is important to understand correctly. If you see high sales volume in the top products and relatively a low review count, let’s say less than 100 reviews of that product then this would be a best niche to start with. On the other hand if high review count pairs with the high sales volume then it’s difficult for you to rank your product high, And it may be a less profitable niche for you. In this case you need to repeat the process in another niche. If you have already shortlisted several niches then definitely this tool will strategically help you to analyze the niches. Related: See how Amazon Product Research Tool can help further in finding products. What to Do After Finding a Niche? Now that you have found a suitable niche where you think you can achieve a top rank easily, it is suggested that set some products on tracking to further analyze the data. 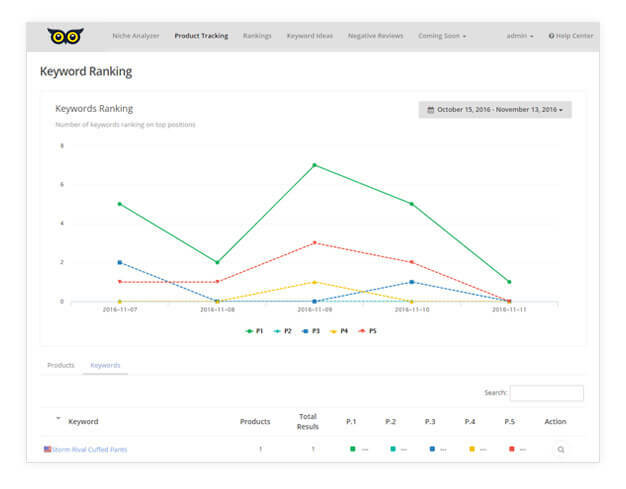 Add some suitable keywords to the products that you are tracking and keep an eye on the rank. You can do this all within the AMZ Insight. This way you can find which Amazon product keywords are easy to rank on top position and which are difficult due to high competition. 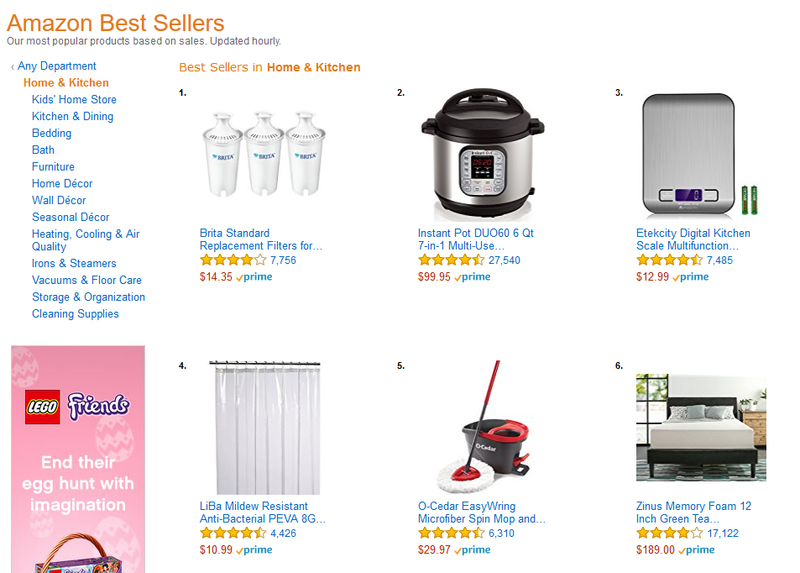 Checking the rank on Amazon is probably the best idea to make sure that your selected niche idea has a customer base. Make sure that products from your chosen niche have a sound number of interested users and also check product profitability with FBA Calculator. Now you can finally decide the niche to sell in and finalize the products that you would sell. At this point, I believe that I have taken away all your excuses about Amazon niche research. You can’t say no more that its hard to find niche and you don’t know where to begin. I tried to make it easier for you so you can begin with your own ideas using your mind. You can easily come up with quite a few products and niches if not hundreds or thousands of them. Note down every product or niche that you think is interesting and have some potential. Keep your ideas at one place because sometimes a niche might become profitable later which is not that attracting now. You can also put in your niches in our Amazon niche finder tool to see how profitable it is and what is the level of competition. If you are thinking to start selling on Amazon or expanding your business on amazon to other niches you must try our Amazon niche product finder that will assist you to begin your research and help you find the best products to sell. You may also setup your Amazon niche site in order to lure customers to your listings on the Amazon. From your site you can not only make money via affiliate products but also send customers to your listings and make more sales. Promote Amazon products on your website and social media to boost sales. To learn more tips, tricks, guides and ideas subscribe to our blog.